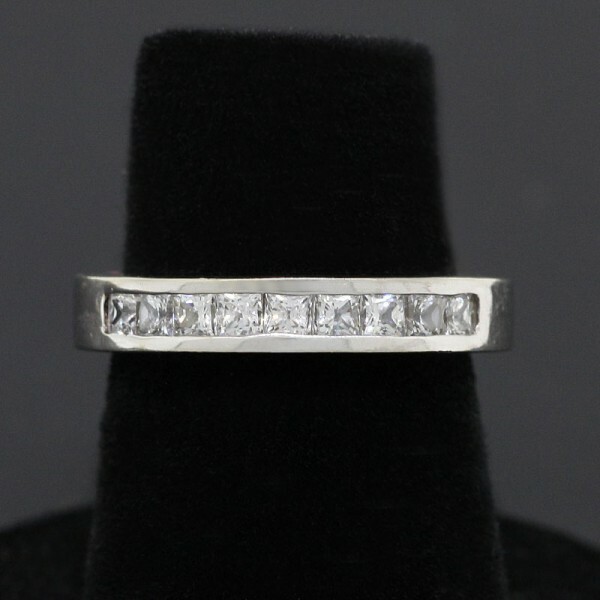 Petite Band with Channel Set Princess Cuts - 18k White Gold - Ring Size 4.5 was added to your cart. Cool and contemporary, just like you! This simple yet stylish band features a row of 9 channel-set Princess cut diamond simulants, weighing a total of 0.27 carats for a sleek and smooth appeal.